Your baby’s blood circulation contains millions of stem cells. After the umbilical cord was cut, a rest of this blood that is rich in stem cells remains in the umbilical cord. Between 60 and 200 milliliters of the valuable blood can be collected by puncturing the umbilical vein. The collection is simple, safe, painless, and without any risk for mother and child. The stem cells at this time are intact, usually free from virus, extremely agile, and divide at a fast rate. Umbilical cord blood has enormous potential. The stored stem cells are available for life and may help to reduce damage at any age. From very young to very old – stem cells may support repair processes all throughout life. 2. Stem cells from umbilical cord blood are young. 3. Stem cells from umbilical cord blood are flexible. The umbilical cord blood of a newborn contains innumerable busy, potent, and viable stem cells. Over nine months, they develop the new human being from one small cell. Later, they help him or her to keep the body’s repair mechanism going. Many researchers regard stem cells as the source material they will use soon to fight diseases, which have been hardly curable so far. Stem cells are the beacon of hope for medicine. Storing the umbilical cord blood may be a smart investment in the health of your child. Keep the umbilical cord blood for your child in a stem cell deposit, and you can be sure that the stem cells are available for life as a precautionary measure, just in case your child needs them for treatment. Stem cells from umbilical cord blood and tissue are true all-rounders. A stem cell deposit is available for life and provides for safety. If the worst comes to the worst, the umbilical cord blood can be prepared for application within the bounds of a stem cell therapy. 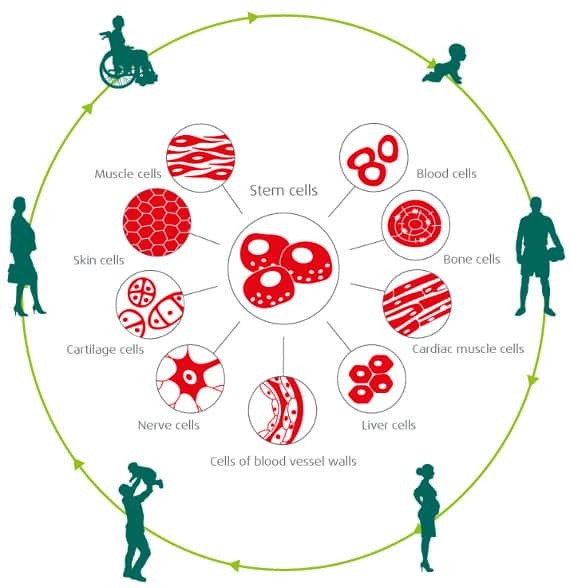 The cord blood stem cells are unique, young, and particularly adaptive. 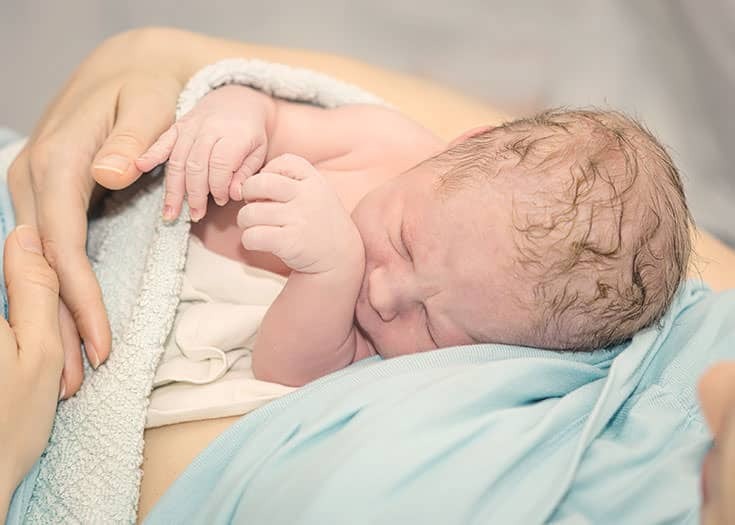 Vita 34 is the most experienced provider in the German-speaking countries and your competent partner in storing umbilical cord blood and tissue. We developed reliable processes and safe materials for storage so that the stem cells are available in top quality even after years. The umbilical cord is the lifeline between mother and child. It contains many blood vessels, through which the umbilical cord blood pulses. For the blood vessels to withstand the stress and not to bend, they are covered by umbilical cord tissue to protect and support the cord. This umbilical cord tissue contains a particularly large number of mesenchymal stem cells, which makes it particularly interesting to stem cell therapy. Vita 34 is the only stem cell bank in the German-speaking countries offering the storage of umbilical cord blood and umbilical cord tissue. By storing umbilical cord blood and umbilical cord tissue, you get the double stem cell power. The potential of stem cells from umbilical cord blood and umbilical cord tissue for the health precaution of your child is enormous. Scientists expect groundbreaking new findings and developments in the field of stem cell therapy in the next years. Vita 34 too works on enhancing the possibilities of application of umbilical cord blood. In collaboration with renowned universities and research institutions, Vita 34 investigates new therapeutic options regarding the treatment of stroke, heart attack, hematopoietic diseases, and diabetes type 1. Why umbilical cord blood and not bone marrow? The success of stem cell therapies depends largely on the cells’ age. Stem cells age with us and may be damaged by diseases and environmental influences. The younger they are, the better they can adapt themselves and regenerate. Recent research shows that certain age-related diseases like arteriosclerosis occur only when the stem cells have become too old. They are then merely able to divide and thus stimulate regeneration. The effect: Damages are not repaired anymore or only very slow. That is the reason why physicians prefer stem cells from the umbilical cord for medical treatment. Why does Vita 34 store whole blood? The umbilical cord blood is collected in a special blood bag after the umbilical cord was cut. A courier transports the valuable freight packed to the Vita 34 laboratory in Leipzig, where comprehensive diagnostic tests are conducted and the stem cell deposit prepared. At the end of the process chain, the umbilical cord blood is cryo-preserved in the cryo-tank at minus 180 degrees Celsius over liquid nitrogen. Space in tanks is valuable. Therefore, many providers choose the separation, i.e. the stem cells are separated from the other blood ingredients. But not Vita 34! We store all cord blood preparations as whole bloods. The Vita 34 cryo-tanks usually contain stem cell preparations of 70 milliliters and not 25 milliliters. Vita 34 thus prevents that valuable stem cells or yet unused ingredients of the umbilical cord blood are discarded. And they make sure that the maximum amount of stem cells is available for each child. Investigations show furthermore that separated stem cell preparations may have a higher cell density, but the plasma concentration is lower. After thawing, this has a negative effect on the cells’ stability though. To ensure top quality and the safe application in the long-term, Vita 34 does not compromise. Another reason why we store exclusively whole bloods. Where is umbilical cord blood applied successfully? Even today, stem cells from umbilical cord blood are standard in the treatment of hematopoietic disorders like leukemia or anemia. They help correcting and regenerating the immune system. After massive chemotherapy, cord blood stem cells help stimulating the hematopoiesis. The possibilities of application are even wider though: Stem cells from umbilical cord blood were already applied in individual applications, treatment attempts, and clinical studies regarding autoimmune diseases (e.g. diabetes type I), heart diseases, neurological damage (e.g. infantile brain damage), or acquired hearing loss. In the long-term, scientists assume that stem cell therapy may be an option in relieving the consequential damages of heart attack and stroke or in treating degenerative diseases of bones, connective tissue, and joints. Related research projects with promising results are already being conducted.